World famous conservationists including Dame Jane Goodall, Dame Daphne Sheldrick and Dr Iain Douglas Hamilton OBE, voice their fears, hopes and solutions on the devastating effects of poaching, habitat loss and climate change on the iconic ecosystem of the African Savannah. 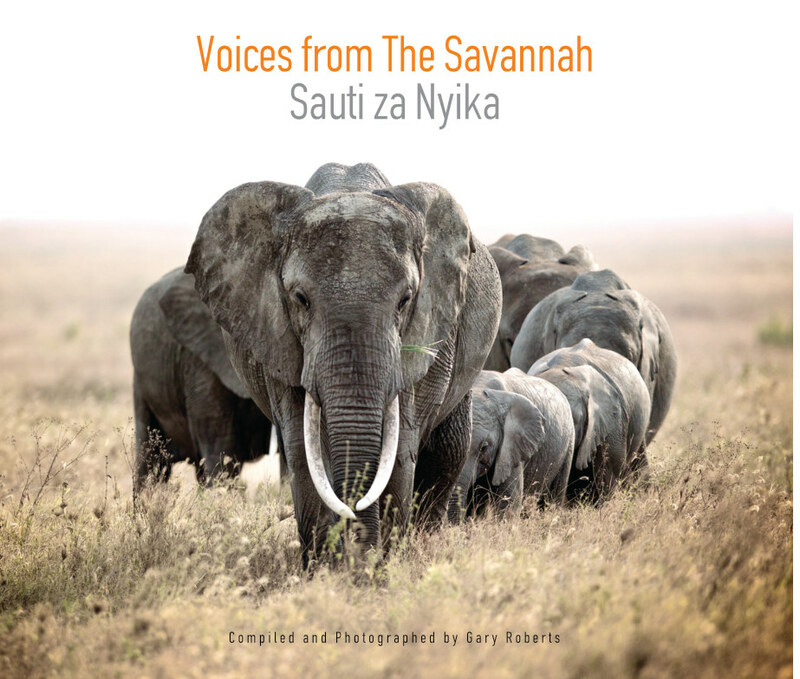 Joined by the voices of those that live and work on a daily basis on and around the Savannah and illustrated by the photographs of Gary Roberts this book reaches across international boundaries, with text both in English and Swahili, to give the reader a true insight into the plight of the African Savannah giving a direct access to get involved in saving the wildlife for future generations. Gary Roberts , a member of the NUJ , is a freelance photographer based in the UK covering assignments country wide and overseas. Gary trained at Speos ( Paris Photographic Institute ) after reading Zoology at Leeds University. Gary is a Fellow of the Zoological Society of London. Gary lectures at Speos London and is a member of the BPPA. Photojournalist assignments have been undertaken in Bosnia, Ghana, Kenya, Korea, Macedonia, Romania, South Africa, Tanzania and the USA. Projects are now undertaken on the grounds of merit as well as financial considerations. Please take a moment to visit the previous projects section of this site to view many organisations that deserve all our support. Clients include National and International Publications as well as PR on behalf of agencies, individual companies and N.G.Os. Please email gary@garyrobertsphotography.com or call me to discuss your photographic needs.